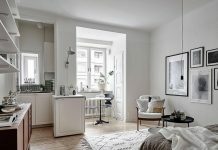 Roohome.com – Have you ever heard the Scandinavian, Sweedish, and Nordic apartment design? All of them are the same design and decorating ideas. 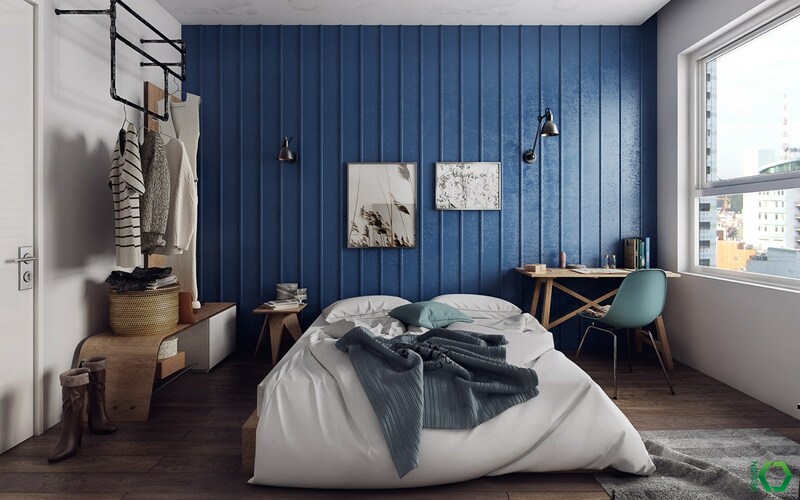 Nordic style identically with the unique features and soft color shades. 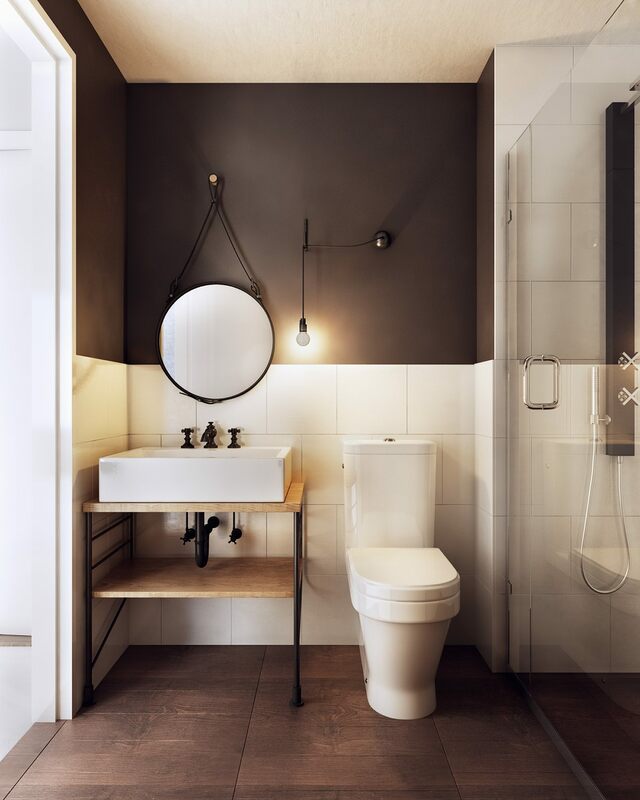 This concept shows the beauty of the minimalist and simple design. Why can it look so beautiful? It is because of the strength decorations that unique and cute. 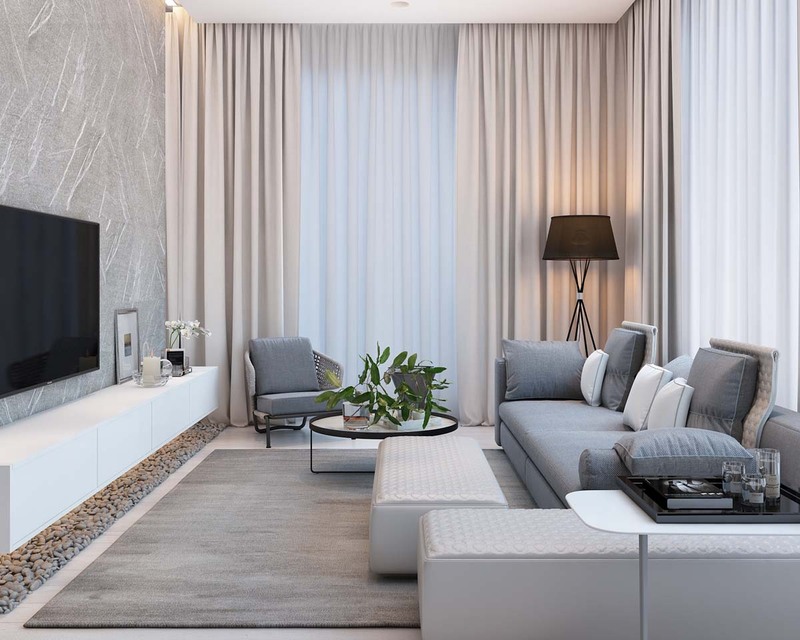 You can take a look how designer decorates the room and the every detail there. 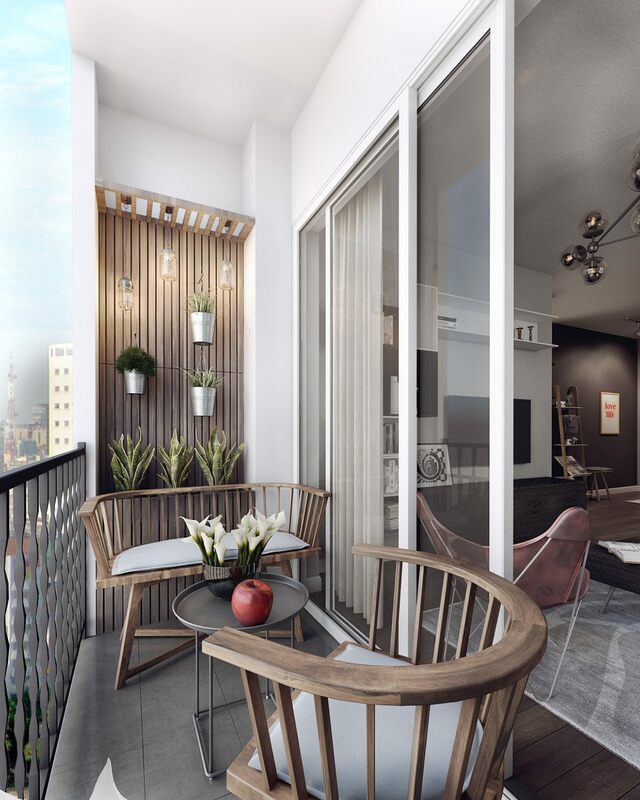 If you have remaining space, it will be better to use it for a balcony. 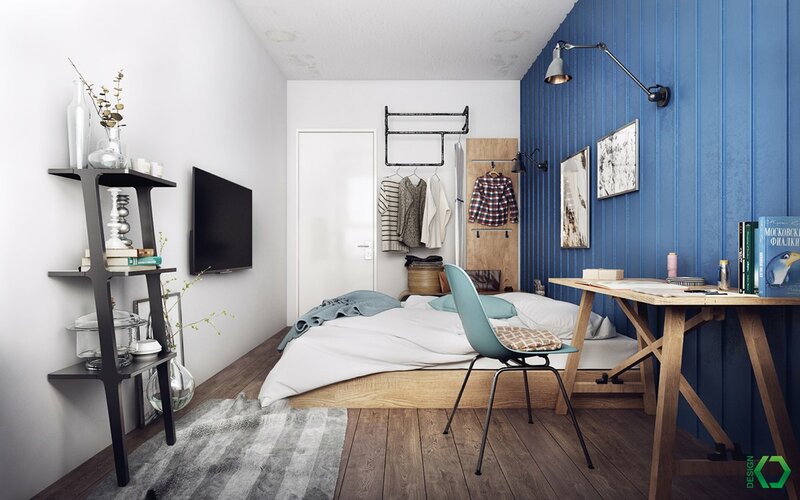 You just need to provide the available space with the simple design and fill it with the unique furniture. After that, you can decorate it with the accent that you prefer. If you have a kid, you need to pay attention in making the rail for the balcony. You need to ensure that it save enough for your kid. 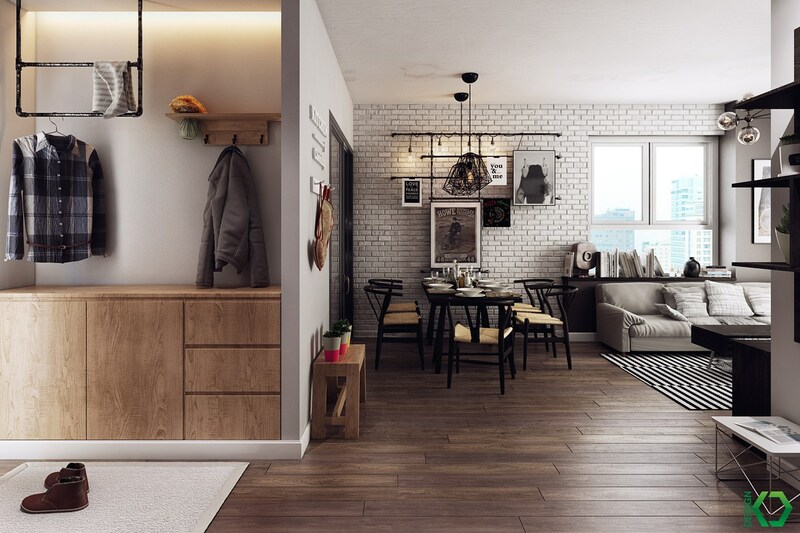 If you only have a small dining room and still want to decorate it, you must try this style to make it more beautiful. 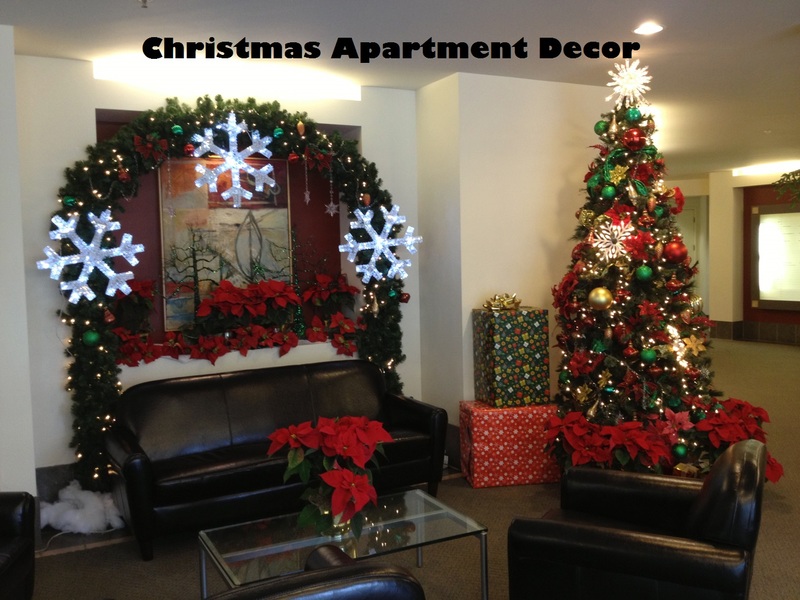 This concept applies the old decoration ideas. 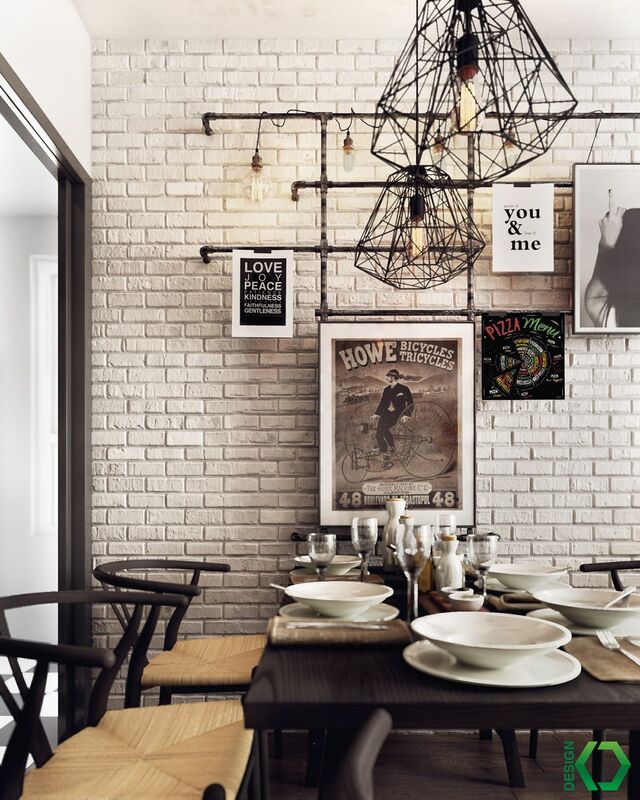 The use of brick wall and old chandelier make it feel cozy. So, you can enjoy your mealtime with the better feeling. 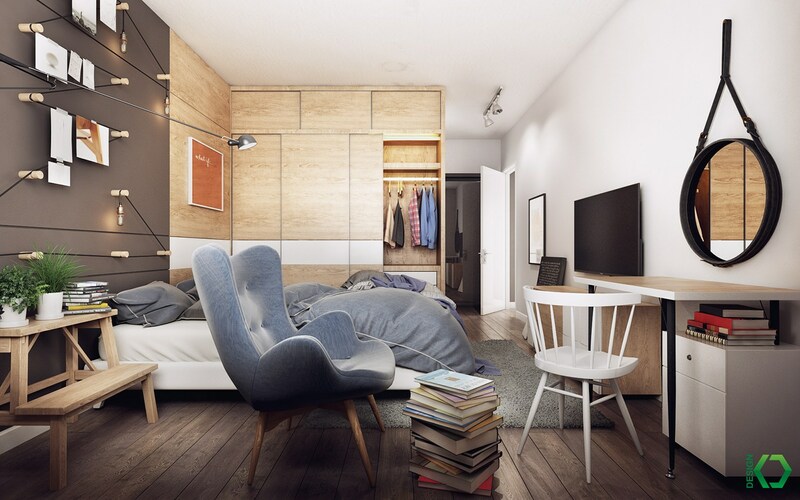 The Nordic apartment interior design does not complete without a beautiful and comfy bedroom design. 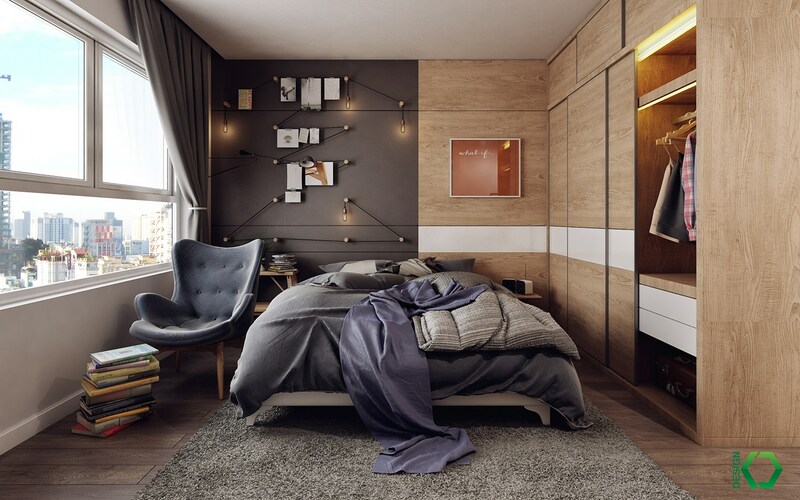 This concept applies the wood interior style with dark shades that look stylish and perfect for a young couple. There also perfects lighting decoration that will create the romantic feel when it is the night. The second bedroom design does not show the tidy layout. 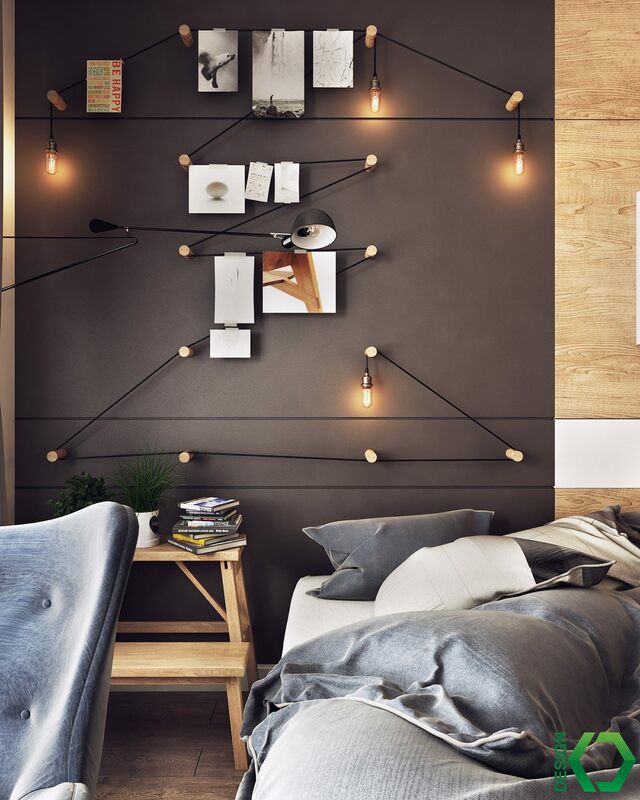 It looks stylish with the abstract concept and contrast color combination. 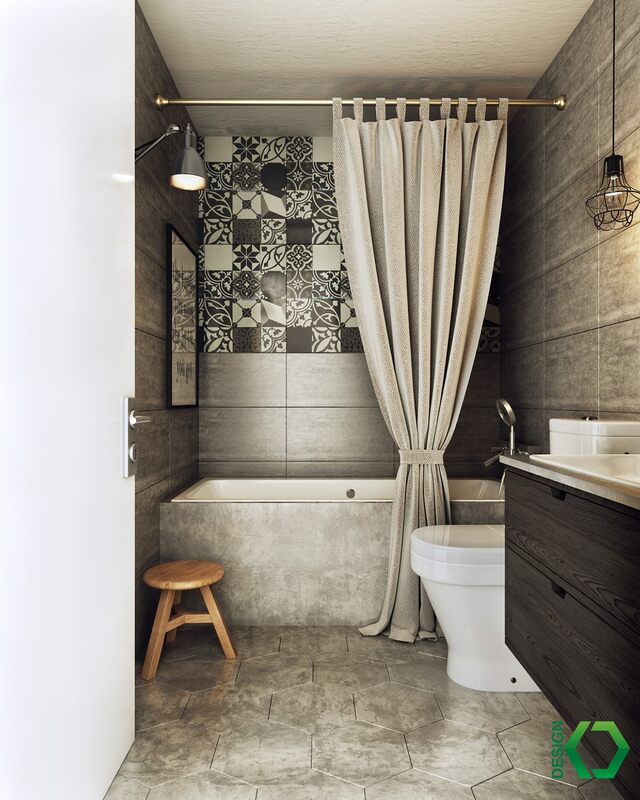 If you are typical of a flexible person that likes a freedom, you might choose this concept for your private space. 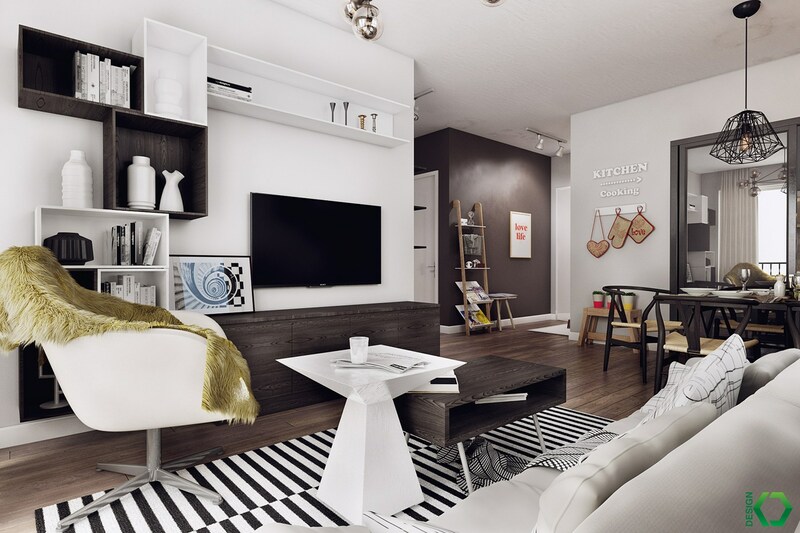 Getting a charming Nordic apartment interior design with the right design, decoration, and features. So, you need many references to find the right ones. 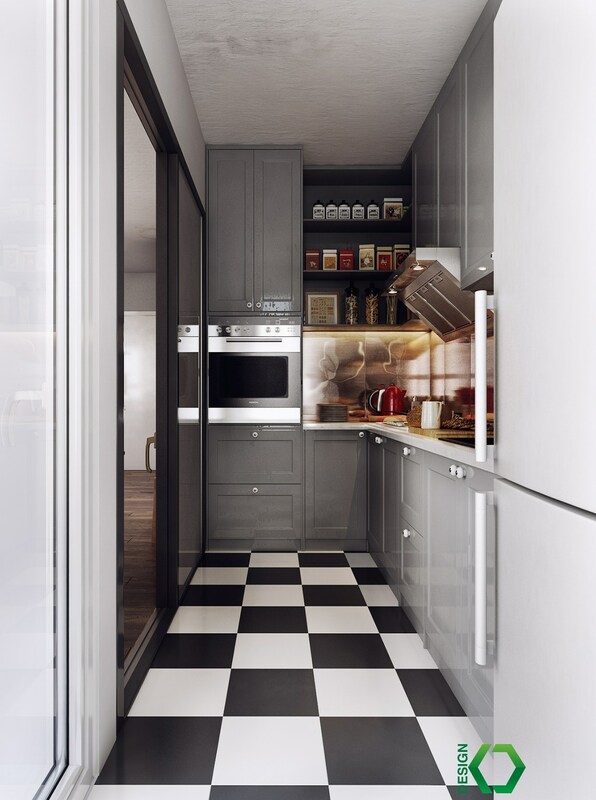 We hope, that it can be your reference and help you in realizing your dream residence.